In Dell’s 30+ year history, the small business landscape has changed dramatically. When Dell started our journey as a small business ourselves, the very way that small businesses conduct their business looked completely different. Small businesses are now reliant on technology, not just to support their business, but to run their businesses entirely. In our ongoing effort to support small businesses (not just during May – Small Business Month – but all year), we enlisted Laurie McCabe, analyst and co-founder at SMB Group, to explore the evolving challenges of IT for the small business community. McCabe’s piece entitled “Ready, Set, Grow: Getting the Tech Expertise Small Businesses Need” highlights that just figuring out which IT solutions their business needs is a top three concern for small business owners. “Technology has become a critical business necessity for small businesses. But to get the best outcomes from technology investments, these companies must sharpen their focus and understand what solutions can best help their business,” she notes. As the leader of North America small business at Dell, I oversee our two small business sales hubs in Nashville, TN and Round Rock, TX. I have seen firsthand how choosing the right IT solutions can be instrumental in the growth and success of a small business. Check out McCabe’s piece for greater insight into what’s stumping small businesses in their IT journey. 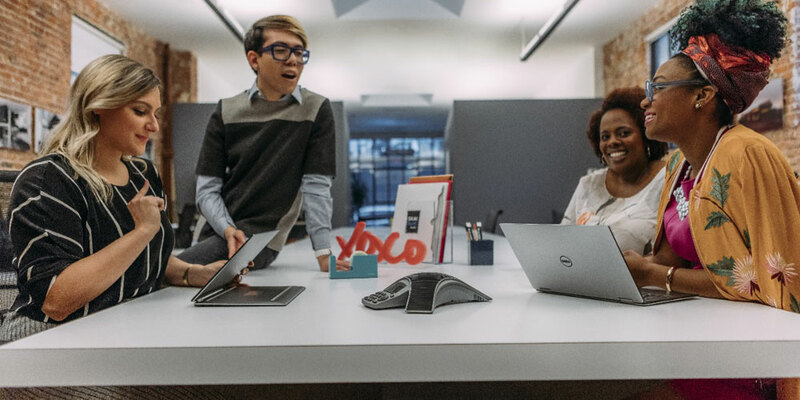 And watch this video to hear how small business owner Rakia Reynolds relies on her Dell advisor to help tailor solutions, with the right products and services, for her business.